For some property investors, just hearing the words ‘Sydney’ and ‘property’ in the same sentence, can be enough to make them cringe, while others see the market in Sydney as an avenue of opportunity and growth. Regardless, before you actually launch into investing in Sydney, it is important to do your research, and seek expert advice. This blog is aimed at assisting you in understanding the Sydney property market, and what to consider when investing. The first thing to consider is the entry level price of properties in Sydney, and comparing this to the other major markets in the country. Melbourne’s property market, for instance, is approx. $400K, and Brisbane’s is $350K. Sydney’s entry level price for an ‘investment grade’ property is $600K, a $200K jump from that of Melbourne. There are of course properties available in Sydney for less than this entry level price, but they would not be considered ‘investment grade’, and you would be compromising on location. With prices in Sydney at this level, it is important to understand that an investment grade property is not necessarily a house on a big plot of land in the Eastern Suburbs, but rather; an asset that is stable (in a location that does not fluctuate in value), and strong (has forecasted wealth-building rates of growth). A second point I’d like to touch on is the misconception that rental returns are all that needs to be considered. Yes, rental return is a significant form of criteria, but we should not neglect annual growth of the investment i.e. capital growth. The reality of investing is that you can invest for cash flow, as in your rental return, or you can invest for capital growth – generally speaking, one of these must be compromised. It’s fair to say that the further away you go from the CBD, the more likely you are going to find a property with above average yield and you will compromise on capital growth. The opposite to this would apply to properties closer to the CBD; where you will more than likely compromise the yield, but achieve above average annual growth. Another mistake that amateurs can make is expecting the same level of growth in Sydney that we’ve seen over the last 5 years. 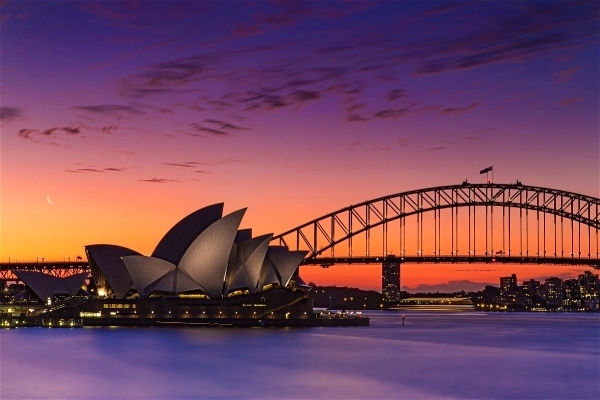 The last 5 years have seen Sydney’s property market experience unrealistic levels of growth, and this has given many investors a false sense of confidence. Now that the market is finally taking a bit of a breather, the growth seen over these last few years cannot be expected. Even though Sydney’s outer suburbs are still experiencing growth in population numbers, this does not always equate to an increase in capital growth. Population growth is one of many drivers of capital growth, so it is very important that the other drivers such as infrastructure spending are considered too. It is critically important that you gain knowledge about the property investment game, and become financially smarter. Seeking expert advice and doing your own research to attain a firm understanding of property investment, is useful. If you are looking for expert advice, look no further than Calla Property. We have a proven track record of getting the evaluation, rental and growth of a property right. We provide a seamless, complete solution where we match you with a property that considers both where you’re going, and where you’re at. Baby Boomer Tenants are Shaking Up the Rental & Retirement Markets 5 Tips to help make property investment your New Year’s resolution!